Growing up Algonquin Anishinaabeg was confusing. A huge castle, which Canadians called Parliament, stood on top of Algonquin land. In its magnificence, it made the poverty of the our people nonsensical even to our young minds. What was going on with the Algonquin? Were they invisible? Were our grandmothers even people? Were we? After we learned how to read and what to read, we learned of Canada’s long history of consciously, intentionally, and deliberately destroying Algonquin knowledge systems, governance structures, and our land-based sustainable economy. We learned that the central policy guiding Canada was racist and destructive to all Indigenous people. Canada the dominator had to do something with the original inhabitants of the land that it wanted, so settlers from afar were shipped over the ocean blue to crowd out the Algonquin and thus our rights to land and resources. A series of policies and laws were instituted to displace and dispose of our ancestors, who never made treaty with the Canadian nation-state. The land claims process is the ultimate colonial economic manipulation. The 1853 Public Lands Act awarded large grants of Algonquin land to timber companies; one hundred acres were granted free to white settlers. 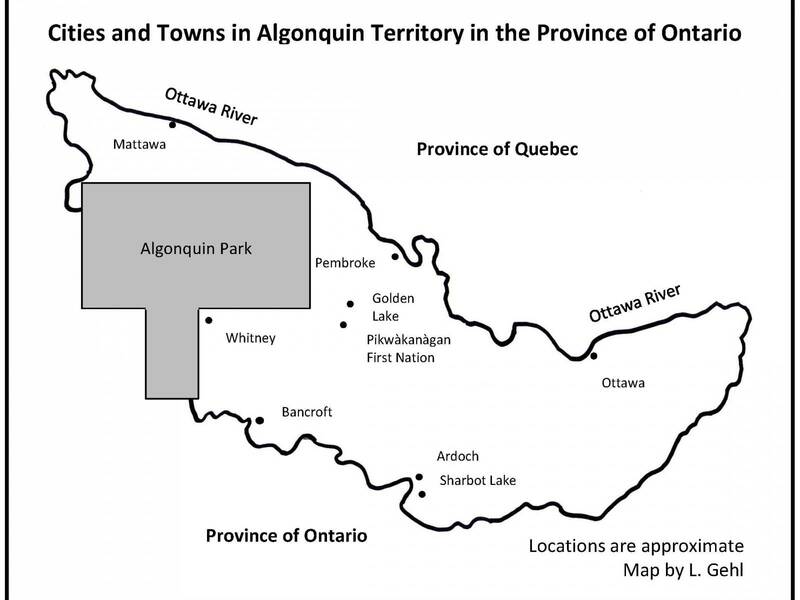 Through the 1860 Agricultural Loans Act, township boards could seize Algonquin land when taxes were owed. As a result, many families lost their ancestral land because they did not participate in the wage economy and thus could not pay the fees. Through the 1868 Free Grant and Homestead Act, the Algonquin were denied land because they did not engage in an agricultural way of life. Yet this was and remains our grandmothers’ land. As original inhabitants, they deserved better, as their children and grandchildren do now. Many, if not all, settler people and their descendants have been educated through colonial discourses and have no relationship to this horrendous truth. They think the Algonquin simply sat by and allowed the dispossession. They have no idea that Indigenous culture was criminalized and that the Algonquin were prohibited by law from collecting monies as a means to hire lawyers to pursue a claim to their own land. “By World War 1, Canada’s Indigenous people were working as forced labour on land that had been expropriated from them,” write Dean Neu and Richard Therrien in Accounting for Genocide. Despite the control of the Canadian nation-state, the Algonquin persisted. In learning about Algonquin history, we found that our ancestors submitted 28 petitions for land rights, beginning in the early 1770s. These petitions continually went unanswered by colonial officials. Eventually, in the early 1990s, the Algonquin finally had their land claims submission taken seriously. Currently the federal and provincial governments are at the so-called negotiation table with the Algonquin of Ontario. Today many Canadian people think we live in a post-colonial world and the techniques of the past are no longer. 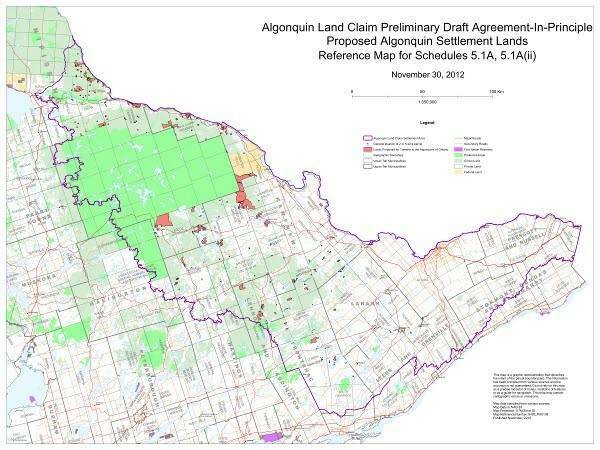 But through the federal government’s continued manipulation, the Algonquin of Ontario are financing their own demise. For centuries Canada has relied on Algonquin land to entice settlers to the “new world,” and on Algonquin resources to build its governance infrastructure and manage its body politic, and yet the Algonquin of Ontario are now burdened with an $18 million debt to settle their land claims. To better understand how the Canadian state continues with its long-time policy of eradicating Indigenous land rights while having Indigenous people finance the practice, we need to look at how Canada constructs the financier and the debtor of the land claims process. As per federal policy, as part of the land claims process Canada “lends” Indigenous people the monies required to carry out the necessary historical research to substantiate their claim, purchase office equipment and supplies, as well as hire administrative staff such as clerks, communication officers, genealogical experts, and legal advisors. These so-called loaned monies are also used to pay the salaries of the principal negotiator and the Algonquin negotiation representatives who sit at the table with the federal and provincial governments. To offer a concrete example, during the 2013/14 fiscal year Canada “loaned” the Algonquin of Ontario over $2.5 million. Legal advisors and expenses account for a significant amount of this debt at $945,000. The wages of the Algonquin negotiation representatives and office staff also contribute to this debt at a cost of $1.3 million. The final land claim settlement offer that has been tabled, though not ratified, consists of $300 million and 1.3 per cent of our original land base. After 20 years of negotiations, the Algonquin of Ontario now owe $18 million to Canada, which immediately reduces the offer to $280 million. It goes without saying that $280 million and 1.3 per cent of our original land base is not enough for the Algonquin to become self-governing peoples. What is needed is jurisdiction over a larger land base and resources that can be relied upon once the little lump sum payment is exhausted. When we think about this pitiful offer further, we realize that the land claims process is the ultimate colonial economic manipulation. 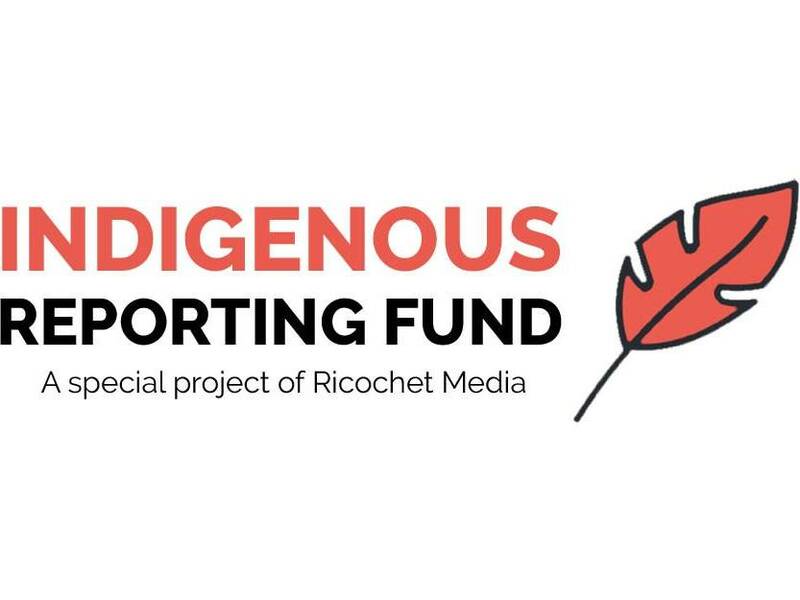 Through Canada’s policies the Algonquin are forced to pay the cost of having their land rights extinguished: they are financing their own genocide. The Algonquin case is not an isolated one. Across the country there are 99 land claims tables, more accurately called termination tables. The interim land claims policy — recently developed by Canada in response to the Supreme Court’s decision in Tsilhqot’in, which affirmed Aboriginal title to land that was never ceded through treaty — offers no shift in colonial policy. Whereas a land claim entails a colonial process whereby an Indigenous nation is forced to extinguish its land rights, a treaty is negotiated between sovereign nations. This difference is key to thinking through the relationship between Indigenous nations and the nation-state of Canada. What is really needed is for Canada to enter into legitimate treaty negotiations with the Algonquin and all Indigenous peoples. This article draws on ideas in Lynn Gehl's recently published book The Truth that Wampum Tells, as well as Heather Majaury's theatrical performance This is My Drum.